Staff and Employee Attendance System Software module maintain quick and accurate recording of staff attendance. This data is integrated with payroll and timetable modules. Employee attendances are used in payroll module to automatically calculate the total leaves, pending leaves, working days. Various types of leaves/absences/late comings can be marked for employees. The Staff Attendance module helps to maintain a record of every employee and it effectively manages attendance of them working in school/colleges/or institution. This module maintains a database of having information like name, id, position, contact details, etc. Advanta Rapid helps to maintain employee’s monthly attendance register, leave summary and many more reports as staff attendance module is integrated with payroll module. By using this module, school management can easily record the regularity and punctuality of each employee and can determine salary payable efficiently. This module gives a relief from the manually marking of attendance. Staff Attendance modules help to maintain a database of staff consisting name, position, address, contact information, primary subjects, salary details, past experience, and qualification. 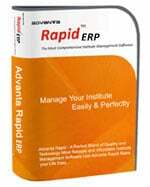 Advanta Rapid ERP has the External Device Management module integrated with staff attendance and payroll module by which attendance is recorded and makes an entry in the software as soon as employee punches in/out. Staff attendance maintains leave details, the total working days, off-days, present and absent. This module also sends notification on employees email address regarding total attendance, shortage of attendance, leaves updated and alerts can be sent through Email or via text message on registered mobile no. You can easily track and analysis of attendance on a daily basis. Different Attendance reports are generated with different filters options. Employees will be given login details by the administrator and this module helps to login so that staff can check their own attendance for the month and can calculate about their leaves. Staff management module manages data and enhanced security so that no employee can manipulate the attendance register. This module can be used by any institution, it is very flexible. Predefined parameters for marking attendance like deductions, additions to salary, PF, ESI, etc. Reduces proxy attendance of other employees. Easily. This module is integrated with Payroll management and staff management module which helps to mark attendance when an employee punches in/ outs in a biometric system. 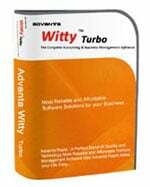 It is a real-time software which makes an entry in real time when employee update in and out timings. Advanta Rapid has different reports generated related like monthly attendance register, leave summary, deduction, and addition; PF, ESI reports, and monthly TDS reports. With Advanta Rapid ERP, you can notification related to your attendance; means total no. of days present/ absent/ taken leaves and all you can get via Email or SMS. Need more information on Staff and Employee Attendance System Software? Contact us for a free demonstration of Staff and Employee Attendance System Software.